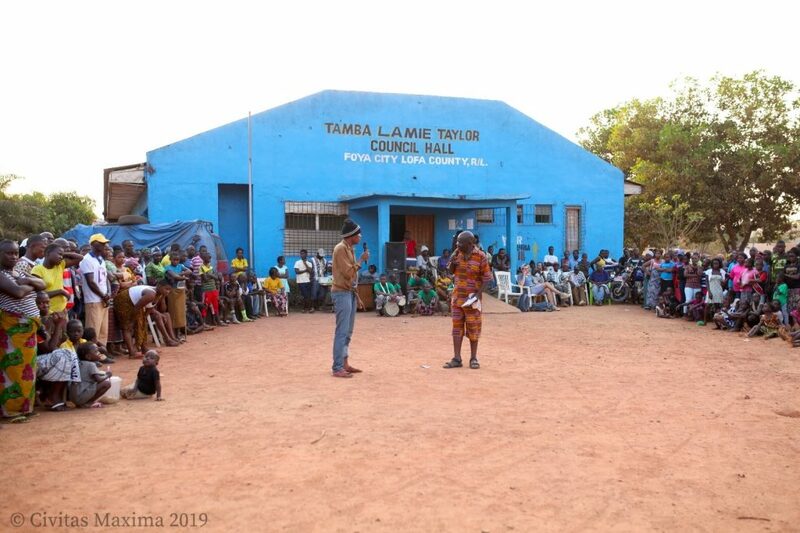 FOYA, LOFA COUNTY – “We haven’t ever spoken about justice collectively in the community; this is the first time. Since the TRC, no one has asked us about the past,” said the Paramount Chief, who welcomed the project to his town. “Most of the victims are here, not in Monrovia” he added. The project, called “Justice in Action,” brings together performing artists and legal experts to perform a version of Musu’s Diary where the audience participates and asks questions. 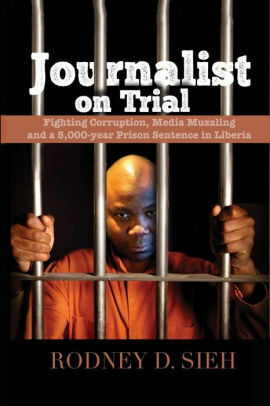 Musu’s Diary is a cartoon produced by Civitas Maxima to reflect the diverse opinions on justice and impunity in Liberia, while also sharing information about trials abroad against alleged Liberian war criminals. Through Flomo’s performance to the 200-person crowd and subsequent discussions, victims are voicing their needs and worries. “We need perpetrators, who are walking around us, to realize that what they did was wrong. I believe the way forward is for the perpetrator to go to court” said a participant of the discussion with the town chief.